At Patch Products, we are serious about fun! Some days,you will find us playing games-to test them, of course! We are a group ofenergetic, talented and passionate employees who love what we do and loveexploring new ideas that lead to exceptional games, puzzles and toys. Everyday, we are busy packing the most value possible into quality, family-friendlyproducts that are FUN! We believe in the team approach to creating fun-starting with product development, licensing and graphic design, continuing onto the Work Hard Play Hard Award manufacturing stage and following throughwith shipping, marketing, sales and customer service. The Patch team includesour vendors who supply us with quality materials, and our marketing partners-the restaurants, hotels, radio stations and other places you will find peopleplaying our games. Our FUN is contagious! From the Manufacturer Children willexercise their imaginations for hours with the Create-a-Scene MagneticPlayset. The colorful scene encourages storytelling, promotes problem-solvingskills and builds skills in sequencing. 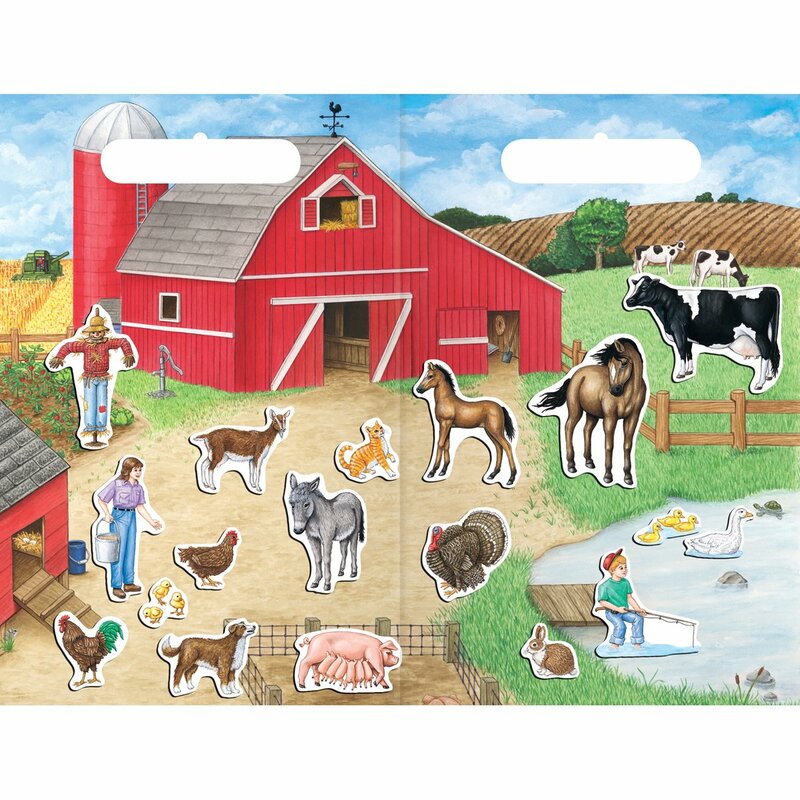 The 18" x 14" play board folds in halfand is sealed with a clear, resilient coating to make clean-up easier.